As a Facebook marketer, you are probably working hard to optimise your Facebook campaigns in order to drive lower cost leads and get better return on investment. 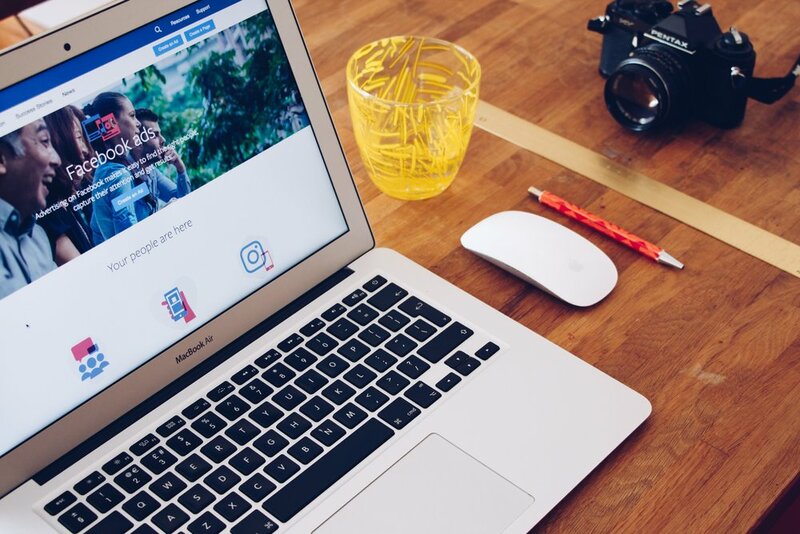 The cost per lead for your Facebook campaigns is determined by a number of factors such as your audience, your industry, your goal and your optimisation settings. With so many different factors at play, unfortunately, there is no easy formula for driving low-cost leads with your Facebook advertising. However, in our experience working with clients across a number of industries, we have learned a thing or two about lowering cost per lead and have gathered some nuggets of wisdom that we want to share with you here. 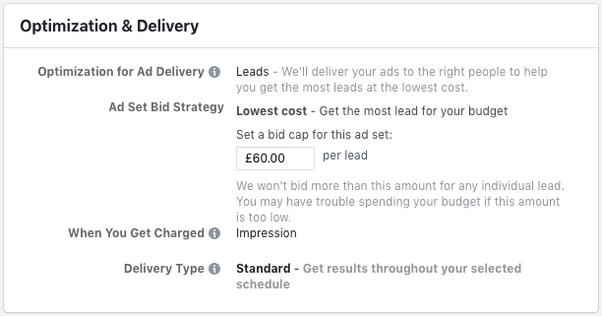 Here are our top five tips on how to reduce your cost per leads for your Facebook ad campaigns. The most important thing to understand with Facebook Ads is how the Optimised Cost Per Mille (oCPM) algorithm works. The first thing that you need to remember is that Facebook’s bidding algorithm does what you tell it to. This is why picking the right objective for your ads is crucial. For example, don’t select Clicks when in reality you care about Conversions. For some great results, we suggest you select Lead Generation as your objective and use Lead Ads. Another important thing to remember is that the algorithm needs data from the past 24 hours or 7 days in order to optimise. This means you need to have some data in order for the algorithm to work its magic. Aim for 5 to 10 leads at a minimum per day. If you’re not getting this, then increase your daily budget. As soon as you hit that threshold, your CPL will start to decrease if you have a large enough audience. Go broad - The algorithm needs a broad audience of at least 500K people to do its magic. If you’re in a market like the UK for example, a 1% Lookalike is around 425K people. Try a 2% Lookalike instead to get to ~1M. Bid your true value (or more) - You can choose “optimise for the best cost per lead”, or if you can afford a high value lead, then it might be better to put in a manual bid. In the past, the auto-bid was simply a $30 bid, so if you can afford more than $30 per lead, use that instead. This is something worth split testing. High bids mean you compete in more auctions. A nice trick you can try is creating Lookalike audiences of your leads from Facebook Lead Ads rather than just using your historic lead database. Our hypothesis is that because the leads come from Facebook exclusively, the Lookalike audience created using your leads from Lead Ads is higher quality. However, in order for this to work, you will need to have at least 500 leads from Facebook Lead Ads. If you don’t have that many leads, make sure you are feeding new leads back into your normal seed audience from your CRM. You can automate the whole process with Facebook Engagement Audiences or an audience sync tool from your CRM like Driftrock. For Lookalikes in general, remember to carefully segment your seed custom audience. For example, if you are an automotive brand or car dealer, you probably know that customers who buy saloon cars are very different from customers who buy SUVs. Leveraging Facebook’s Custom Engagement Audiences is a great way to ensure better traction with your Facebook advertising. A simple trick to decrease the cost per lead and increase lead volume is using Engagement Audiences from Lead Ads. Simply create an engagement audience of everyone who started filling out the form, but dropped off. 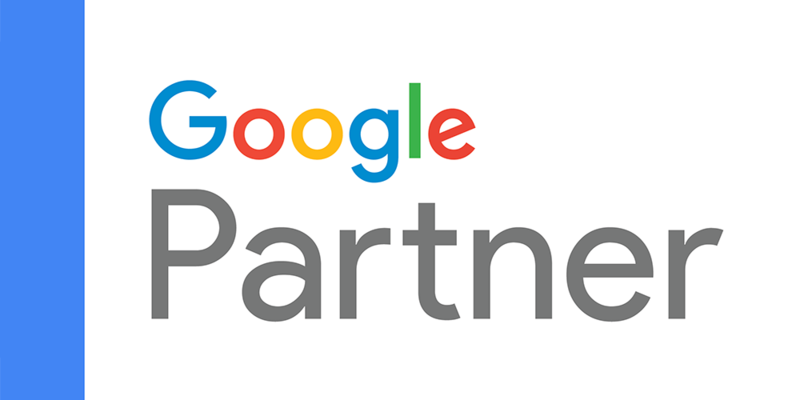 Our clients tend to see a 40% boost in lead volume with this strategy. 4. Ask yourself if you actually want to decrease CPL? We hate to tell you that but a cheaper lead is not always the best lead. Facebook Lead Ads result in a much lower CPL, but can also drive lower quality leads, unless you optimise your Facebook Lead Ad forms. Contrary to most website lead generation guides, adding more questions to the Lead Ads form actually works better for sales most of the time. Facebook’s algorithm is so good at finding people similar to people who fill out the form, that adding additional questions doesn’t significantly increase the CPL. What it does do is increase the lead quality, and give you more data to qualify your leads. As a general rule, we always add qualifying questions like “When are you looking to buy?” for automotive lead generation, or “what is your budget?” for something like Real Estate or B2B. Download your leads and create some pivot tables in a spreadsheet to analyse what people are answering in your forms, or use Driftrock’s free lead analysis tool. People only spend about half a second looking at each post as they scroll through their newsfeed. So it’s critical you get across why someone should fill out your form quickly. Use a custom image, message or snappy and attention-grabbing bullet points in your form to clearly communicate the value of your offer. We tend to see the best results with 3 benefits as bullet points on the form. To take this a step further, you can integrate bullet points listing the benefits of your offer into your ad creative. Doubling up is not an issue here. Hopefully, those top tips and trick have given you some ideas on new ways to optimise your Facebook campaigns and drive great quality low-cost leads. 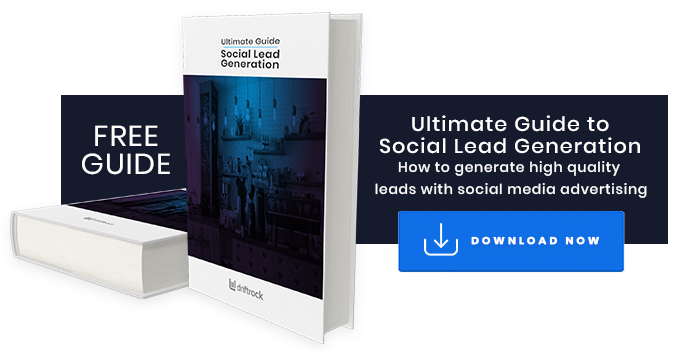 If you need some more inspiration on how to improve your social media lead generation efforts, get our free Ultimate Guide to Social Media Lead Generation.